When I test my pH level and find an acid reading ( 5.5-6.5) on the testing tape, I have some quick tricks that help boost my pH balance to a more alkaline level (7.0-7.4) within a day or two. Remember: The object of the game is to keep the blood pH level at approximately 7.38. The blood needs to stay at this level in order to operate properly. If it becomes acid, the blood must steal calcium and other alkalizing minerals from the bones. Keeping the blood at the proper pH level allows the bones to use the minerals you ingest for building bone strength! Quick Trick #1: Drink a Greens Shake. In the blender or Magic Bullet, combine 1 cup of pure water, 1 tbsp of PaleoGreens powder, and 1 tbsp of liquid chlorophyll (Red Apple flavor). It may look weird, but it tastes fine! Quick Trick #2: Eliminate all grain products for the day. No bread, no cereal, no gravy. Quick Trick #3: Grab a handful of raw almonds for a quick, alkalizing protein source. Quick Trick #4: Limit sweeteners to Stevia (most alkalizing), maple syrup and rice syrup (alkaline), and raw honey (least alkalizing). No processed honey, no processed sugar, no artificial sweeteners. Quick Trick #5: Drink water with lemon. Squeeze the juice of a wedge of fresh lemon (not bottled lemon juice) into each glass of water. Quick Trick #6: Include a digestive aid, such as Digest Gold or Garden of Life’s RAW Enzymes, to digest food thoroughly and diminish toxic buildup from undigested food particles. Quick Trick #7: Pick olive oil today for salads and for cooking, instead of other oils. Quick Trick #8: Enjoy a cup of green tea, herbal tea, or chicory with dandelion. Quick Trick #9: Relax as much as possible. Go outside and breathe in the fresh air. Stretch. Take a nap. Stuff like that. Relaxing reduces stress, which reduces cortisol, which in turn reduces acid and promotes alkalinity. Quick Trick #10: Load up on alkalizing foods for meals and snacks, and avoid acidifying foods until the blood pH returns to the 7.0+ range. In general this means fruits, vegetables, seeds, and nuts, but some of these are more alkalizing than others. Top on my personal list of alkalizing favorites are: pumpkin seeds, Brazil nuts, almonds, figs, soy beans, lima beans, bananas, pineapple, apricots, raisins, dates, apples, spinach and romaine leaves, tomatoes, carrots, celery, and whey protein shakes. There are plenty of other alkalizing foods, too! 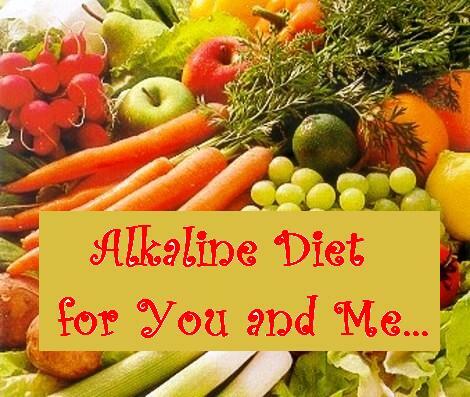 Check out these online charts at: http://www.alkaline-alkaline.com/ph_food_chart.html. For a more complete listing, refer to the book, The Acid Alkaline Food Guide by Dr. Susan E. Brown and Larry Trivieri, Jr.